ROYSTON, England - March 16, 2017 - PRLog -- Syrris' state-of-the-art Orb batch reactors are designed by chemists for chemists, ensuring they perfectly meet the demands of your work. Whether you are engaged in lab scale reactions or looking to move to pilot scale processes, there is an Orb system designed for you. 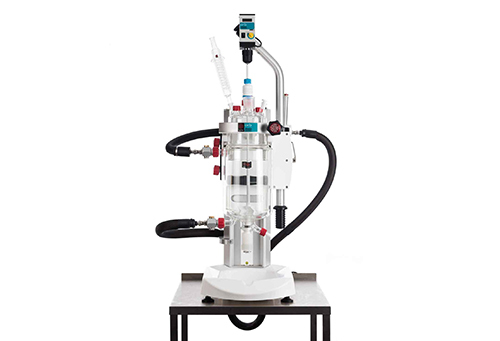 The benchtop Orb jacketed reactor combines exceptional value and high quality construction with unique user-friendly features and reliable performance, andis ideal for process development and kilo labs. It accommodates a broad selection of jacketed and vacuum jacketed vessels from 100 ml up to 10 liters, and can be operated at temperatures between -90 and +250 °C, and pressures from 50 mbara to 0.25 barg. An intuitive, patent-pending clamp mechanism enables vessels to be quickly and easily changed, complemented by a clever stirrer motor lift that can be easily raised and rotated out of the way during vessel changes. Vessel height adjustment is also rapid and straightforward, with no tools required. With a comprehensive choice of accessories and optional upgrades to allow automation of reaction parameters and rapid oil drain, Orb can be used in virtually any application. Orb is complemented by Orb Pilot, an easy to use, floor standing scale-up jacketed reactor offering an excellent combination of performance, versatility and value for money, delivering flexible and cost-effective pilot scale batch chemistry. It offers a choice of vessel sizes from 10 to 50 liters, and is precision engineered to withstand temperatures from -40 to +235 oC. Available with a selection of single and vacuum jacketed vessels, plus a wide range of accessories and stirring options, the Orb Pilot can be easily configured to match your exact requirements.